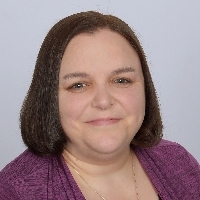 I am a Licensed Clinical Social Worker with over 20 years of experience in the field of social work and am licensed in Illinois, Indiana, Iowa, and North Dakota. I have worked with individuals and families from a variety of backgrounds and life circumstances. I operate from a person-centered and family systems approach through the use of cognitive behavioral, solution focused, and mindfulness-based therapy. Some of my areas of experience and interest include anxiety, depression, PTSD, and building healthy relationships. My career history has allowed me to work in the areas of mental health, domestic violence, foster care, and adoption. My goal is to support and empower you to identify and address life's issues and face them head on; to help you to learn how to cope with and manage life stresses so that they are not controlling you and overtaking your life. I have been working with Lisa for almost a year and I am so thankful I found her. She has been supportive and understanding. I have made so much progress and I feel she has been so supportive the whole time. I have seen several therapists or counselors thru the years and I have never connected with or trust someone like I do Lisa. And the convenience is amazing. Ms. Lisa has been a great help in my growth as an individual. She has worked with me to grow my confidence and self image. I am quite grateful to her. I only had a membership for a month, but Lisa gave me some tools to try to help with my relationship. Lisa offers support and practical guidance/advise. She is eye opening and life changing. Thank you for all your help, Lisa. Thumbs up! Lisa is very understanding and it seems like she’s very experienced in the field of family and relationship issues. She is a good listener and knows how to dissect important information from what a client gives her. Lisa is by far the greatest counselor I have ever worked with. She gets one scheduled day off to do her own things and the rest of the time is spent helping others, myself included. I highly recommend her to anyone. In the time I’ve worked with her, Lisa has gotten to know me deeply and has helped me to work through several of the most difficult transitions I’ve experienced thus far in my life. Her support helped me to make big decisions, and I continue to grow with her guidance. I trust Lisa’s expertise, and I appreciate that she is able to give me concrete exercises and thoughts that keep me moving forward. She is very professional, and she has also taken the time to develop a personal connection with me. Lisa has helped me address every aspect of what I wanted help in. I feel more confident in everything I do, from leadership skills, to critical thinking, to relationships, she genuinely wants the best for you. I'd recommend her to anyone. Lisa is so kind, gentle and supportive. She offers a great perspective and is sincere. I feel very comfortable with Lisa and would recommend her to others. Lisa has been a wonderful help to me. More helpful than my past therapists. Half the time I don't even know what my problems or concerns are, and she just talks to me and helps me through whatever I am dealing with. I am really thankful to have her to talk to in my life. I have learned a lot from Lisa about dealing with life circumstances without letting them hold me back or ruin my mood. My favorite thing about her is how she respects my life choices and meets me where I'm at. I'm so much happier since she came into my life because she has taught me actual skills to deal with problems I used to feel stuck with. Dr. Childers' experience with LGBT matters is greatly appreciated. She asks questions that help those who may be looking for a path forward and helps with that path going forward as well. She is amazing! I love seeing that I got a message from Lisa, so easy to talk to. She’s been wonderful so far and seems to have a pretty good idea of where my anxiety, guilt etc. is stemming from and very respectful! I’m looking forward to our face to face chat- I think she can read me pretty well so far! She takes the time to listen and she knows what she's doing. She gives excellent advice and helps me with my problems I have. Lisa is a wonderful therapist. After months of trying to find help, she’s truly the rainbow after the storm. She has given good suggestions and advice to help me through some issues. Lisa is super helpful, especially throughout the day when I feel like I have no where to turn. Helps me keep myself together and not have as many PTSD episodes. I am enjoying my talks with Lisa Childers. I feel like she asks good questions and wants to help me figure my problems out in a non-judgmental way. Lisa is warm, clear, encouraging, and helpful. The changes that I’ve experienced in the past month have been so valuable and having her available as a listening ear, sounding board, and beacon of wisdom in confusing times has been beyond appreciated. I love talking with Lisa. She has helped me realize what in life is more important for my mental health instead of everyone else. I got a lot off my chest with Lisa that I have not talked to anyone about. I’ve had Lisa for a few months now and I’m all the better because of her. She’s helped me through anxiety and commitment issues. Lisa has been great so far. She has done nothing but support me and offer good advice. It has helped me to be able to talk to someone I don't know, knowing that she is giving a professional opinion, and has no personal feelings tied to what she is saying. She responds in a timely manner. She has helped me put at least a few of my issues to rest. I look forward to talking with her going forward, and would recommend to my friends. Lisa is very good with Ideas on how to deal with situations! Wonderful counselor! Very kind and attentive! Lisa Childers is amazing at what she does. I was very cautious to start online therapy, as I wasn't sure if it would help. But over time I've worked through some heavy issues. Lisa encouraged me to find a job and deal with my emotions in a healthier way. She was always fast in replying and very empathetic in her advice. I highly recommend this therapist to anyone dealing with issues regarding insecurity, negativity, feeling stuck, or family related issues. She is amazing and I really enjoyed working through my problems with her. Lisa is very clever. I'm so happy to talk to her. Her questions are on point. Lisa is very helpful and a good listener. She is open and nonjudgmental. I really appreciate her continuing to reach out. Lisa has been great! Very respectful and responsive to my needs. She has had great insights into my issues and has been very helpful in helping me through my issues. I would highly recommend her to anyone having issues. She makes me uncover new insights into my irrational behavior and suggests strategies to deal with them. She is very thorough in her work and really tries to understand and guide me. Lisa is a great counselor. Nice, caring, and really good at her job. I highly recommend her. Lisa is the grounded support I needed so much, to calm me down from the whirlwind state of mind I was in. The best thing is when she guides you in a soft manner, and helps you to come up with your own solution - which for me, made me feel empowered. I have only been talking to Lisa for a short while but found her to be very receptive and insightful and very helpful. She's like the voice I needed to hear inside my head. Interactions with Lisa are great. Kindness, understanding, while keeping on track to effectif therapy. Amazed how it helps my routine. Lisa is a very caring person. She asks all of the right questions to bring out self-discovery. Lisa is very kind, patient, and understanding. I feel like she really listens to me and offers guidance when I need it most. My time with Lisa was short, but I found it easy to open up to her. Lisa is friendly and shows that she cares about her clients. She also made me feel like I've made a new friend. Working with Lisa proved highly beneficial as she demonstrates an excellent capacity to actively listen and to ask questions triggering a much needed reflexion. Thank you Lisa! Lisa is professional, yet not to the point where it feels clinical. She cares and I believe she puts herself into each client. I recommend Lisa because when you talk to her, she actually listens. Not just another pen and paper taking notes and asking how you feel about that type of lady. Dr. Childers is very professional, caring and sweet. Lisa is very responsive and caring. I appreciate the resources she recommends. Lisa is super chill; exactly what I need to calm my anxieties and remind me that someone is there to listen to me. Lisa gave a very warm vibe. Talking to her feels like I'm talking to a friend. She's hilarious. I haven't spoken with Lisa for very long yet but so far she has shared some interesting resources with me and I'm looking forward to hearing more of what she has to say. Even though it's via online Lisa has been the most thoughtful and enjoyable therapist I've done sessions with. With her videos and books she's recommended are amazing. I really want to thank her for the hard work and understanding. I'm happy to be paired with her and looking forward to the journey. Thank you for everything. Lisa is caring, attentive and considerate. She also has an open-mind and is really good in understanding culture difference. She helped me sort through my vague vision very well when I described my problems. I never thought someone would be able to understand whatever I am going through until I met Lisa. Would you like to write a review for Lisa Childers? We'd appreciate if you can spend a couple of minutes to write a short review for Lisa Childers (LCSW). This review would be shared with Lisa Childers. It may also be posted in our website or in Lisa Childers's profile but it would be anonymous and your identity would be kept completely confidential.